Quayside Bathrooms - Bathrooms based in Oakdale, Dorset. 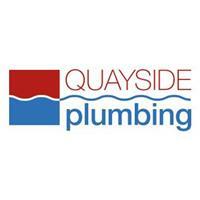 As a local bathroom company with 30+ years of experience in the trade, Quayside Bathrooms offers friendly, fast, competitive, no obligation quotes. We offer a complete bathroom installation service: to include plumbing, tiling, electrical works (sub-contracted), plastering, carpentry, flooring, structural alterations, and a whole lot more! We specilise in bathrooms, en-suites and cloakrooms and offer a huge range of bathroom products that come with up to 10 years manufacturers warranty. Bathroom to shower room conversions are our specialty, and we aim to provide a high standard of workmanship and conduct; demonstrated by our excellent Check-a-Trade feedback. Request a call back through Check-a-Trade and we will get back to you within 24hrs, or alternatively simply call or email with your ideas and we will arrange to discuss your requirements. Poole, Broadstone, Sandford, Bournemouth, Westbourne, Lytchett Matravers, Ferndown, Wareham and Wimborne.